The primary purpose of a handheld pet vacuum is to clean all those places traditional vacuum cleaners cannot reach. Having said that, its list of advantages over regular units does not stop there. Read this short guide to learn more about the benefits of using a handheld vacuum to clean after your pets and kids. As suggested by their name, these units are basically smaller and more portable versions of traditional vacuum cleaners. 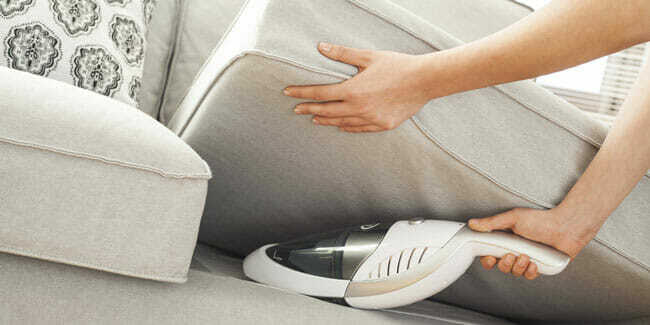 One of their main drawbacks is the fact that they are not ideal for vacuuming large open surfaces. However, they come with a lot of benefits – and in this guide, we will focus on their biggest advantages. Handheld pet vacuums are much smaller than their standard counterparts, which makes them much easier to navigate and carry around, Additionally, they can access places traditional vacuums cannot get near. Handheld pet vacuums usually weigh around 5lb, which makes them ideal for larger houses with a lot of stairs. 5lb is the upper line, though, with many models like Bissel Bolt weighing just 2.5lb. Whether you are trying to get your kids to pitch in around the house or are an elderly individual who cannot carry bulky vacuuming units anymore, handheld vacuums are perfect for you due to their small weight and compact measurements. Most handheld pet vacuums are also cordless, so you do not have to worry about you or your pets tripping over your appliance. Unlike regular pet vacuums, handheld units are much easier to store thanks to their smaller size. Finally, you do not have to disassemble them before storage since they can usually fit in pretty much any closet. With traditional vacuums, it does not matter how big of a mess you are about to clean, you have to unpack the entire unit, get the hose and the necessary attachments in place, empty the bag if it is full, and do a bunch of other stuff you do not have to think about with handheld units. With pet vacuum cleaners, all you have to do is take your appliance, clean the mess, and put it back in storage – it is that simple! It is important to note that some top-tier handheld pet vacuums can clean all types of wet and/or dry messes left by your animal friends. Handheld pet vacuums usually come with many more attachments and accessories than your regular cleaner. This allows them to clean pretty much any place you could ever think of without any problems. 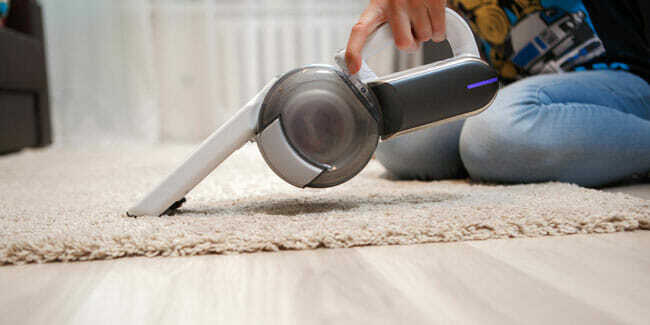 Whether we are talking blinds, couch cushions, car seats, stairs, corners or areas underneath your furniture, these handy appliances will clean it all, picking up all the fine invisible dust thanks to their powerful motors. People usually think that handheld pet vacuums are not that powerful, but that could not be further from the truth. Many handheld pet vacuums are bagless, so you do not have to think about bag replacements. Just empty the dust bin and you are ready to clean some more. In addition, the floor brushes are narrower, so there is less to clean. Handheld pet vacuums are usually much cheaper than their canister or stick counterparts. The top models go for $50 – $70, which is beyond budget-friendly when compared to top-tier canisters, uprights, and other traditional models. How Long Do Pet Vacuums Last? Here at BestPetVacuumCleaners, we provide all the resources you need to complete your search for the perfect pet vacuum in just a couple of clicks. Earnings Disclosure: This website contains affiliate links. For purchases made via those links, we earn commissions that allow us to keep producing quality content. The use of affiliate links does not result in additional expenses for the consumer. Tell us about your fortunes or misfortunes with any of our featured pet vacuum cleaners and help us improve our content while helping other readers make the right choice.